Calling all Radius Apartment pups! 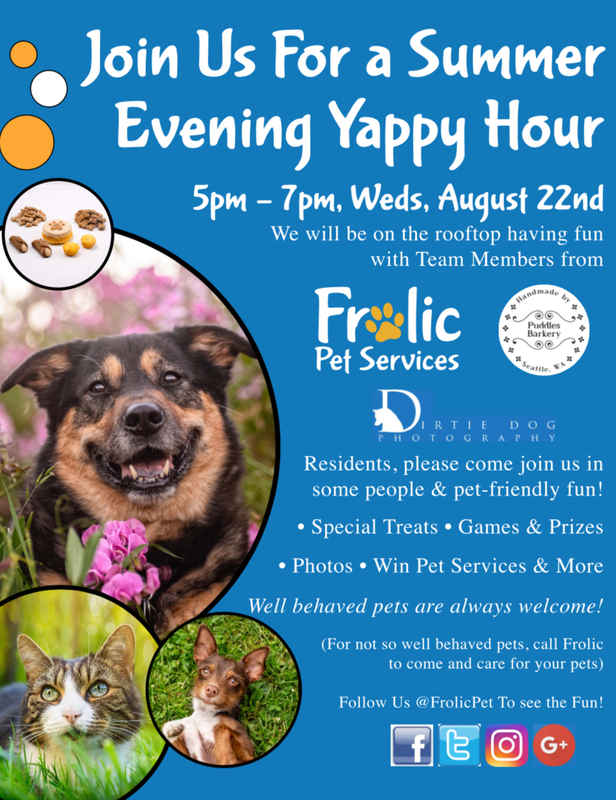 We hope you are looking forward to meeting all your doggo neighbors at this Yappy Hour. It's going to be a fun event with dog treats from yours truly, meet Whitney with Frolic Pet Services for dog walking and pet boarding services and introduce yourself to Marika with Dirtie Dog Photography for all your pet photography needs. Check out the Radius Apartments website for more information.